Caversham House is a beautiful restaurant and reception centre situated a few minutes from historic Guildford on the banks of the Swan River. 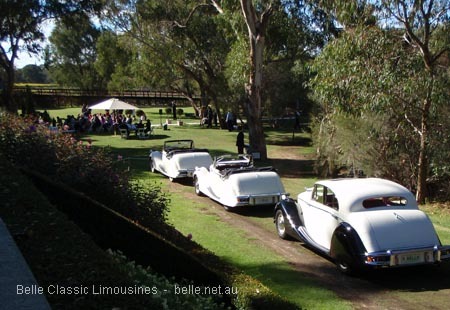 Belle Classic Limousines assist with many Caversham House weddings because our classic cars suit the atmosphere created by the timeless landscaping and architecture of the gardens at the venue. 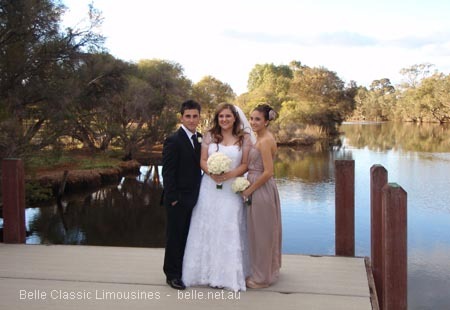 It is a short journey to many Swan Valley and Guildford locations for spectacular wedding photography. Couples often comment how pleased they were with the service and food at the venue when we are driving them to their end of night location. The friendly staff provide support throughout the wedding and are attentive at the end of night get-aways. Caversham House operates as a casual dining restaurant restaurant for lunch on Wednesday to Sunday 11.30am – 3.00pm. The patio is a lunchtime favourite from spring through to autumn and lunch at Caversham House is a great way to test some of the menu options you may be considering for your wedding. 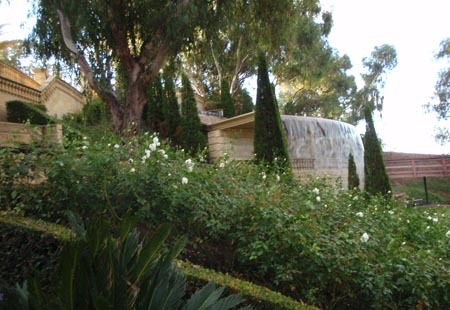 A walk through the gardens down to the Swan River is an essential part of any visit. 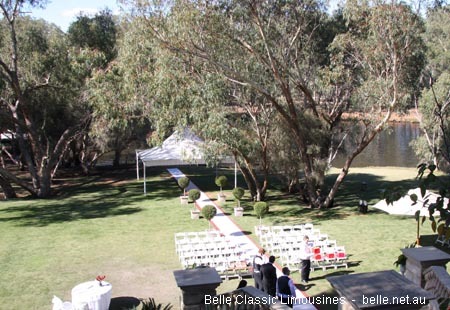 The secret garden on the Swan River behind Caversham House is one of Perth’s most popular wedding ceremony locations. Brides can choose to enter from above and walk down the stairs to the ceremony or to enter from the river side and walk to the stairs for an elevated ceremony. Caversham House management are very fussy about access to the garden lawn and access to the rear garden is almost exclusively for the smaller classic cars of six seat limos. Larger Chrysler and Hummer limos can not easily negotiate the sharp turn and steep angle to enter the rear garden’s drive (the real difficulty is trying to reverse out). This means the bridal party will need to walk down the steep drive in their high heels and dresses for a wedding entrance via the riverside if they arrive in a large stretch limo. 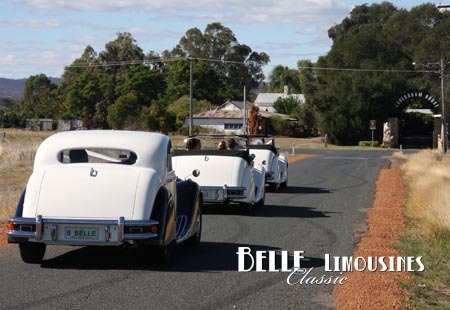 The Rolls Royce limousines from Belle Classic Limos can easily negotiate the rear drive. The popularity of Caversham House has led to a greatly expanded car park to service the marquee reception area. Whilst there is ample room for larger limos to negotiate the car park, in many cases guests park in a manner that restricts limo access. This is especially true for larger weddings at night when the limited visibility may prevent a limo driver negotiating the car park for an end of reception get-away. Large buses for guests are restricted to parking on the road verges at the front of Caversham House (approximately a 200 meter walk). Caversham House has ample parking for a large number of guests. The car parks are well laid out and are easy to navigate in regular cars. 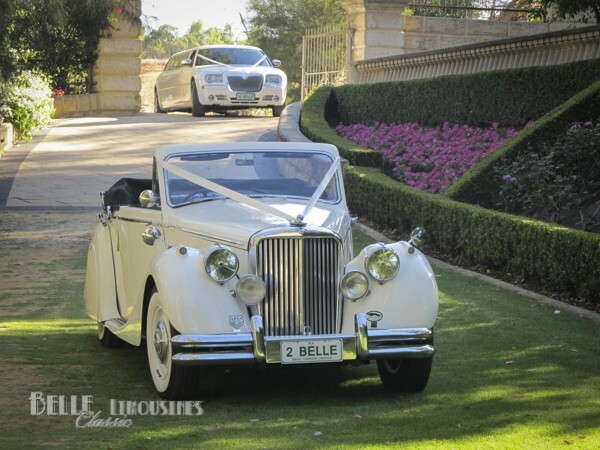 It is worth advising your guests who will be driving to the wedding to ensure that they only park in the marked bays. 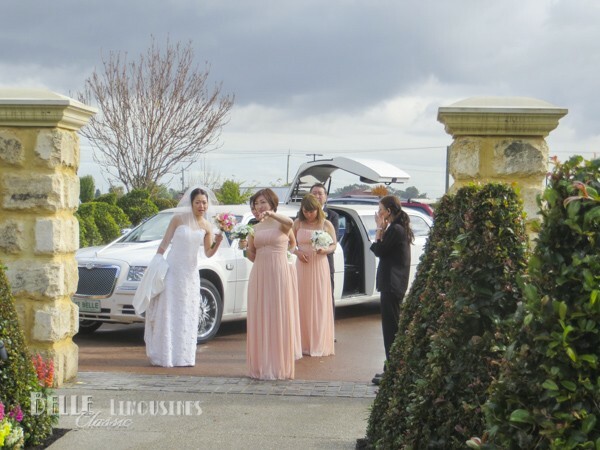 Many other vehicles use the access ways through the car parks including limousines, buses and occasionally supply vehicles delivering and retrieving equipment used at the wedding. Some of the access points are quite tight for larger vehicles. If the access ways are blocked due to incorrectly parked cars it can mean that limousines get stuck half way through the car park with limited opportunity to reverse out through the venue. The marquee car park is best entered from the (newer entrance) at the northern end of the venue along Maxwell Road so as not to congest the main entrance with unnecessary traffic. The small section of the car park near the colonnade and marquee entrance should be reserved for guests with mobility issues and remember to have guests leave space near the entrance for the arrival of your wedding cars or limousine. If your wedding is in the original Caversham House building your guests need to be informed to use the southern carpark accessed through the main entrance. This car park is especially tight for stretch limousines if guests do not leave enough room at the end of the car park for the limo to turn through the car park. If you are using Chrysler limousines it would be useful to assign a family member to check that guests do not block the car park prior to your transport arriving. We recommend that at a minimum the bride and groom pre-book and end of night get-away using a chauffeur service when at Caversham House. You can also consider pre-booked cars for important guests such as parents and grand parents. Many couples using Caversham House also organise a bus to transfer guests to a central location as part of there duty of care. Taxi and Uber cars are usually in the Swan Valley on Friday, Saturday and Sunday nights in limited numbers. Most often they accumulate in high traffic areas like Perth city, Crown Casino and the Perth airport waiting for work. 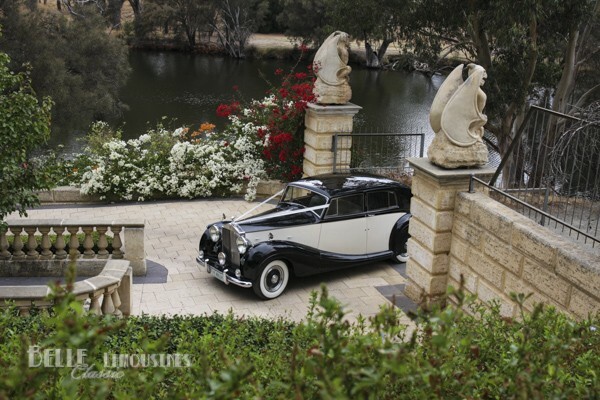 It is considerate to imform your guests that they do not rely on prompt service from short call chauffeur services at the end of a Swan Valley wedding. 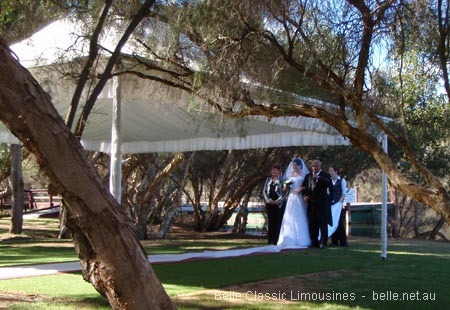 On an average night in the wedding season around twenty weddings will be finishing in the Swan Valley along with hotels closing, entertainment concluding and night clubs getting started for the night. There is usually around 300 people leaving Caversham House alone. This means that access to short hire transport is quickly used up and we often see groups of guests hanging around the entrance to the Swan Valley venues waiting for taxis, occasionally they are still there when the venue shuts for the night. 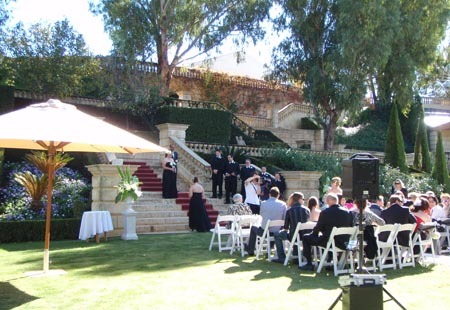 Caversham House is a popular and busy Swan Valley venue. It is often quite congested in the car parks around wedding time so it is important that drivers know where they are dropping-off or picking-up from to avoid adding unnecessary drives around the venue. There are three ceremony locations at Caversham House as well as the two reception locations so it is important to know where you are heading before you arrive at the venue. If the exact set-down location is not noted on the couples instructions ensure that you ask for the location before you arrive at the venue. The main entry is through the northern entrance off Maxwell Road. If delivering the bride to the ceremony use the main entrance as it adds a much grander feel to the entrance. The set down location is the eastern side of the northern car park. Drive straight in so the front of the wedding car is facing the entry when the bride arrives (looks best for photos). Reverse out and turn the limousine around after the ceremony ready to depart for feature photographs. Enter Caversham House via the main driveway and continue straight to the main entrance of Caversham House. Brides may choose to enter via the main entrance to Caversham House of the arched gateway through the garden. Ask which they prefer before you arrive. Access to the hidden garden is via the dirt road to the river to the south of Caversham House main entrance. Brides have many preferences for their entry to the hidden garden for a wedding ceremony. Most couples choose for the ceremony to be on the steps so the bride approaches from the riverside and wants to be dropped at the base of the drive way. Caversham House rarely permit the wedding cars onto the lawns in the area due to difficulty maintaining the grass coverage. There is usually a marker noting where to stop or use the large tree on the right at the bottom as an indicator. Chrysler limousines could have difficulty reversing back up the hill and through the gates so drop off at the top of the drive near the gates. Leave the wedding cars facing the ceremony location until the group is ready to leave for photos. When the ceremony location is riverside brides usually make an entrance by walking along the upper path and then down the steps to the carpet aisle. The set-down location is then at the entry gates to the hidden garden. 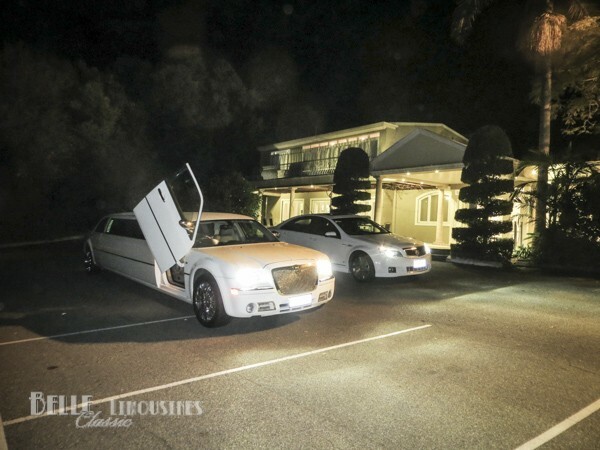 with the cars facing into the venue (so the front of the bridal car is showing in photographs). Occasionally a bride will prefer to be dropped in the main car park and to enter via the tunnel. Enter Caversham House via the main driveway and continue straight to the main entrance of Caversham House. The Marquee entrance is usually the northern entry off Maxwell Road, however, if you are arriving at the venue for a drop-off to the reception the couple will usually be having photos at Caversham House first and will have arranged for exclusive access to some of the venue. Ask the couple (or photographer) were in the venue you should head to for the photos. Entry by the riverside road. 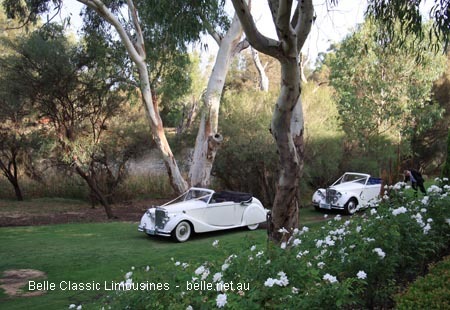 Classic wedding cars can drive to the start of the lawn for photos and be positioned as instructed by the photographer. Chrysler limousines are not to be taken down the driveway. A great place for country feel sunset shots. 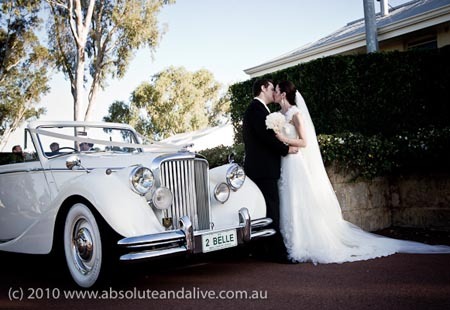 The driveway is a popular sunset photography site featuring the wedding cars. You may need to hold off other cars while the photographers work the location. The fields across from the main entrance as well as further along Caversham Road. Check the condition of the ground before taking the wedding car off road into the field if requested by the photographer. Try to use an established track into the fields and stick with that. Be cautious after heavy rain the clay soils can become very boggy.. The table grape vines across the fields from the main entrance are very popular although many photographers also use the vines further along Caversham Road for the photography session. The old sheds are a popular photo location. See options on the map. Click on an image to activate the Caversham House gallery.